By the way, I am happy to take reader submissions! If you have an outfit you’d like my small but choice readership to see, please click the “Say ‘Friend’ and Submit Something” tab above to get in touch with me. I saw Vedrana, a rune-keeper of the kinship The Hidden, standing at the vault. 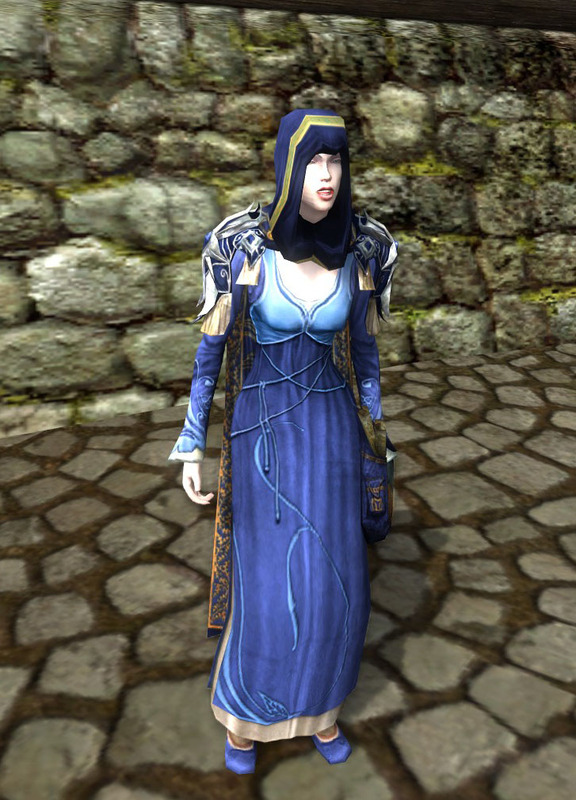 I was struck by her use of the fairly ubiquitous Long-sleeved Elven Dress. Remember when that was it for pretty dresses in game (unless you are super into yellow bows)? 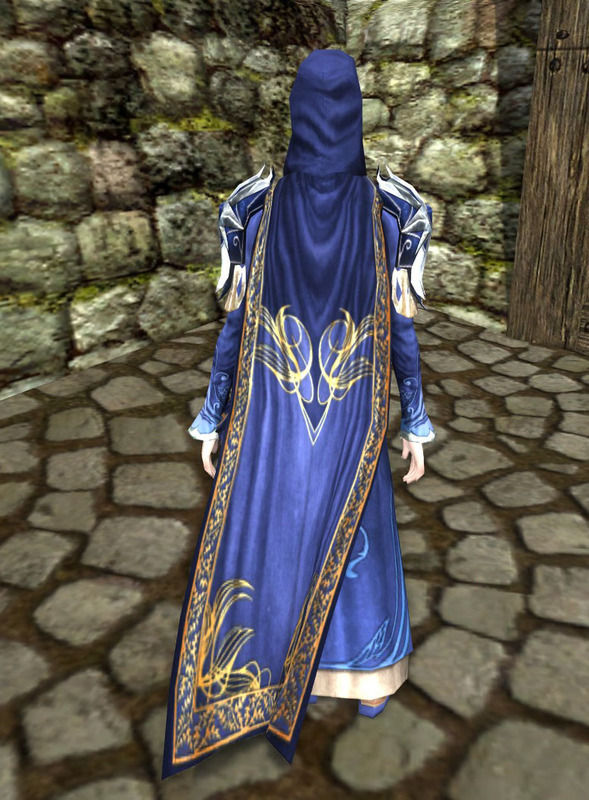 She gave an old item new life in a vibrant color by adding the Shoulders of the Ancient Tongue and the Ceremonial Cloak of the West-tower. 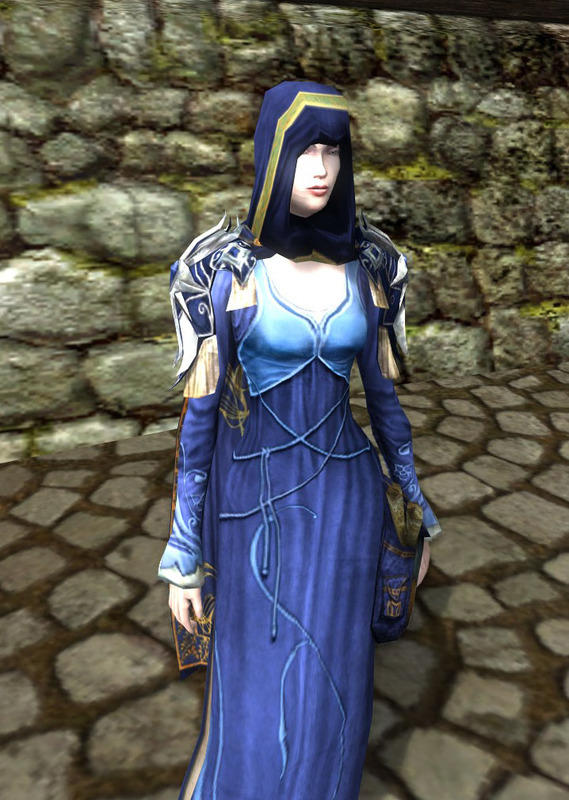 I am not usually a fan of dresses paired with harder armour items, but this example fascinated me. I think the blue is gorgeous with Vedrana’s pale skin, and I admire how she’s dyed her RK satchel to match. She looks operatic in this one! 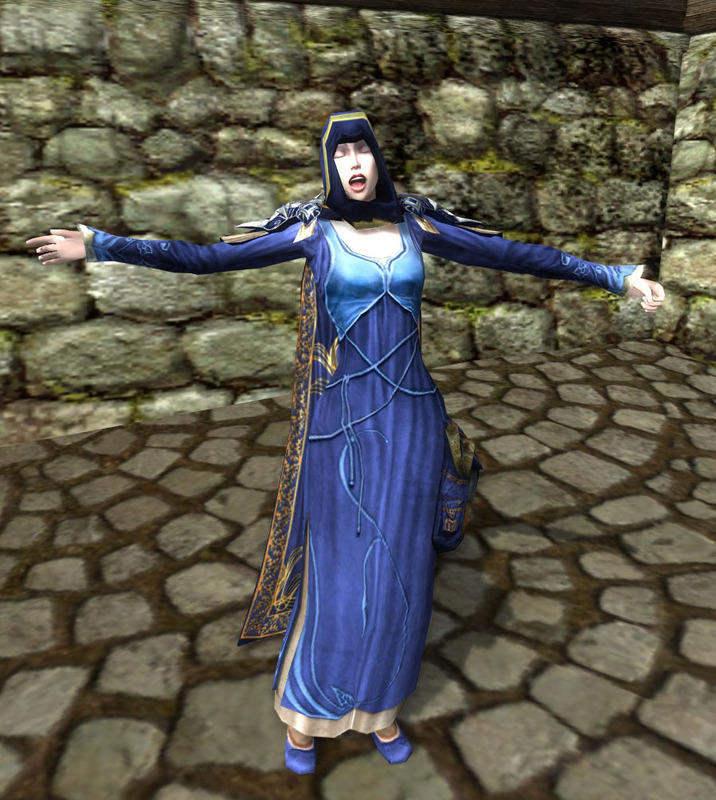 Somehow I managed to capture what I think an Elf would look like juuuuust before sneezing. If Elves sneeze. They’re durable sorts — I’m doubting hayfever would knock them flat. If you have any questions or comments for Vedrana, please leave them below. Thank you, Vedrana!